This is How You Do It, Isn’t It? Learning to SUP is easy, but we’ve found it really pays dividends to have a couple of hours tuition. 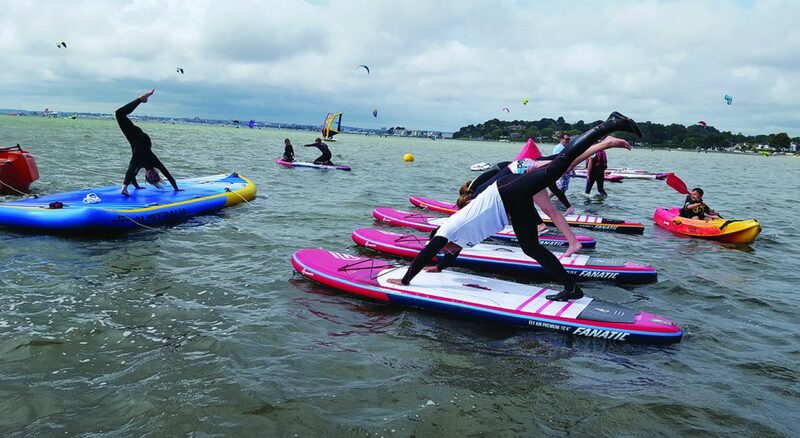 We are a British Stand Up Paddleboard Association (BSUPA) recognised school and will take you through their ‘Ready to Ride’ scheme and certificate your competence which allows you to rent boards anywhere. This will cover basic strokes, where to go, balance, understanding weather, equipment knowledge and all you need to know, to get out on the water paddle boarding safely on your own. From this point if you’re looking to hone your speed, distance or surfing skills we can offer additional lessons to suit you. Private Tuition starts from £45, groups from £60. For those of you new to SUP who want a thorough introduction and to gain your BSUPA ‘Ready to Ride’ certificate, with a bit of extra 1:1 attention tahn our group tours. For those of you that fancy going a bit further, learning to go a bit faster, want to become more efficient and generally get more out of your paddling. Ideal for anyone wanting to take part in events this year! 1 to 1 lessons to suit your ability and goals with one of our qualified BSUPA instructors. Our Safari Tours are a great opportunity to explore more of the harbour and surrounding rivers and meet likeminded water enthusiasts. Locations & Distances vary week to week to give a bit of variety. It’s open to all abilities, a great way to meet new people, learn new skills, get some exercise and explore the local area from a very different view point. Want to learn to SUP and improve your fitness? This 5 week ‘Fit to SUP’ course is designed to teach you how to SUP, get comfortable on the board and then incorporate a circuits-style workout with lunges, squats, jumps & more as well as teaching you more advanced paddle strokes to gain competency on the boards. Spaces are limited so give us a shout to get yourself booked in. £100 for the full 5 week course including all equipment, wetsuits and tuition. Social fun paddle with other ladies and girls. A popular and sociable evening with like minded people on the water. Stand Up Paddleboarding is a great group activity, wether your celebrating a stag or hen do, a birthday, building team spirits or treating the work team to an activity day out. You’ll all have a laugh, learn some new skills, see gorgeous parts of the harbour with the safety and guidance of our instructors. Guns n Buns SUP Fitness / SUP Yoga / General Tours / Fun Races. All abilities welcome, but a small amount of experience on a SUP is recommended beforehand for fitness and sup sessions. Sunday SUP is £18 and welcome to all abilities.